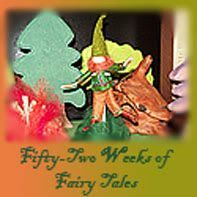 I am excited to start my very first link-up party! 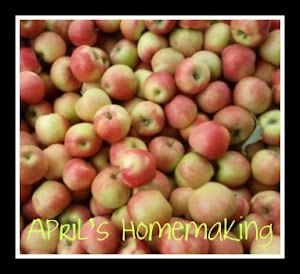 I love finding wonderful recipes and ideas for meal planning when I am reading through blogs, and I enjoy sharing my own recipes here at April's Homemaking. 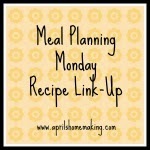 I am looking forward to hosting Meal Planning Monday Recipe Link-Up! This past week my favorite meal was a delicious and hearty soup. My whole family loves soup, so I try to make a nice pot of soup as often as possible. This week's soup was a Beef, Kale and Mushroom Soup, and I loved the addition of the Kale, definitely something I am going to add to my soups more often. 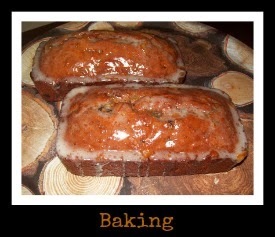 Here is my recipe. In a large soup pot, add a little olive oil to the bottom of the pan, and brown the stew meat, until it has a nice brown color, then add beef broth (I used half of the beef broth I had made from boiling beef bones you can read how to make that through a link to my Beef Stock Post, and supplemented it with a box of beef broth, if you don't have any homemade beef stock or broth on hand use two boxes of beef broth), and add two cups of water, a chopped large onion, and some sea salt, fresh ground pepper and about a tablespoon if Italian Herb blend. Bring soup to a low boil, then reduce heat to a medium simmer, and cook with lid partially on for an hour or two, until meat is soft enough to cut apart. Remove meat with a slotted spoon, and cut into small bite size pieces, and return to the pot to continue cooking. Stew meat requires a good amount of cooking time to soften up, and my soups usually cook on the stove for at least four hours, if you want to save time you could use left over beef from a pot roast or left over round steaks that have already been cooked and chopped, but cooking the meat in the soup will add a nice amount of flavor. Once your meat is back in the soup pot in bite sized pieces, add the chopped celery, crinkle cut carrots, and washed sliced mushrooms. Check the flavor of the soup, add a little more salt, pepper, and Italian herbs to taste, as well as a dash or two of Worcestershire sauce. Continue cooking on a medium simmer until all veggies are cooked through, check frequently to adjust heat and stir, if the soup liquid is evaporating add a little more water as needed. Mushrooms can take a bit of time to cook, another time saver if you are in a hurry is to pre-saute the mushrooms in a little olive oil until they are cooked down, and then add them to the soup. When your veggies are cooked to your liking, and the meat is tender, check the seasoning of your soup, I usually add seasoning at the beginning, middle, and end of the soup. The last veggie I added was my cleaned and chopped Kale, this cooks down rather quickly so I add it last, let it cook until it is cooked through. When your soup is just about ready, cook up the soup pasta in a separate pot. I loved the little Pepe round soup pasta in this soup (see below) , most often I use Orzo pasta in soup, which we all love too. Cook pasta until tender, and drain, and serve in a bowl along side the soup. Scoop in a serving of soup pasta in to your soup bowl, then ladle soup on top, this way the noodles don't get soggy, and everyone can take as much or little as they desire in their soup. Serve with fresh crusty french or sourdough bread. Soup is always a welcome meal in my home, and I always feel happy to feed my family all the good veggies that are in soup! April, thank you for hosting. I'm going to mention it on Facebook. I've shared my Brussels Sprout Stew -- though it works just as well with cabbage, too! As you may have guessed, I, too am a big fan of hearty soups... and that Beef, Kale, and Mushroom Soup looks delicious! Thanks April for the invite to your link party and have a great week! 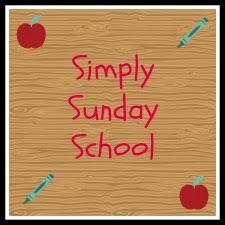 Thanks for the invite to join your linkup. :-) I host one on Tuesdays called "Try a New Recipe Tuesday." Be sure to come over and visit. Thanks for inviting me to you linkup. Hope you are successful! Thanks everybody for all of the kind comments. I have had so much fun today hosting my first linky party and checking out everyone's wonderful recipes! I'm so glad you all shared your links, what a great bunch of recipes! Thanks for inviting me to your link party! I have added your button to my party page. I host Tasty Tuesdays, which will be live tomorrow morning. 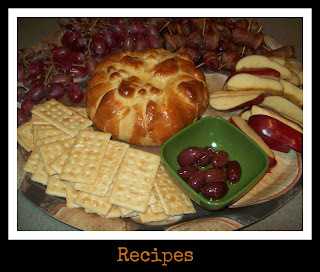 I'd love for you to link up your culinary creations! Newest follower here as well! Congrats and best of luck with your new link party! Thanks so much for the invite. I'm following you on G+ and have your added your party button to my Link Party page. Have a great week! Hi April! Thank you so much for hosting the party and hope you have a wonderful weekend!